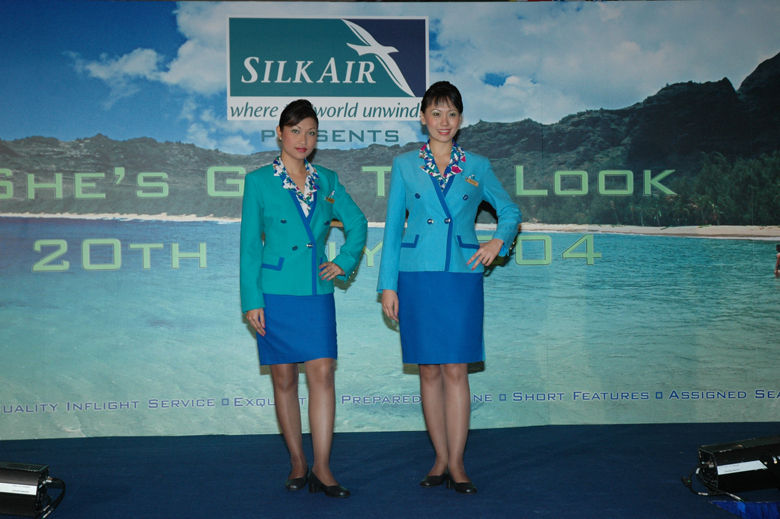 Silk Air has launched a new collection of uniforms for its 500-strong cabin crew team. Due to be unveiled on April 15, the updated style embodies the airline’s “professional image and demonstrates its commitment to ensuring the brand remains relevant for the times”. The new designs are one-piece uniforms that come in two variations – aqua-blue for the junior crew and plum-red version for the senior crew. 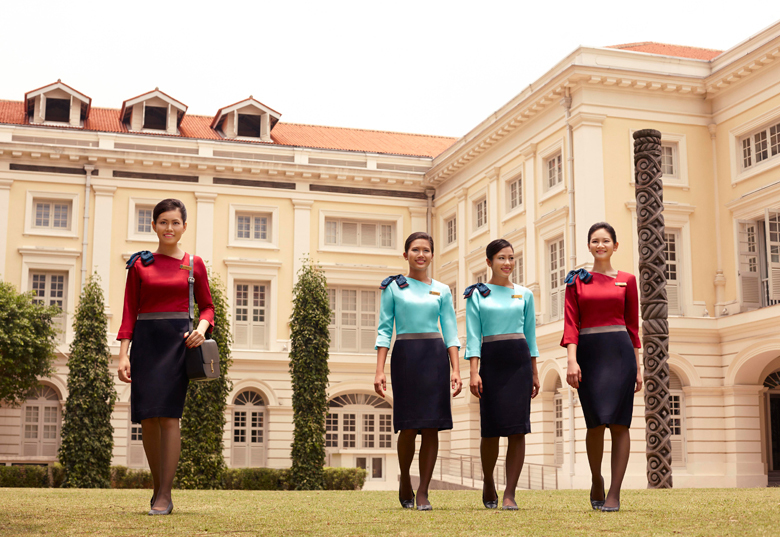 Both will be accompanied by a dark blue skirt, to show synergy with the airline’s parent company, Singapore Airlines. The interplay of bright and dark colours is intended to reflect a youthful, lively feel, whilt the asymmetric neckline adds a touch of modernity and refined style. The new uniforms were designed by Singapore’s own Alexandria Chen, a newcomer to the industry, but one who has already designed collections for various established hospitality brands. “When designing the new uniforms, the aesthetics were just as important a consideration as the practicality of the design. 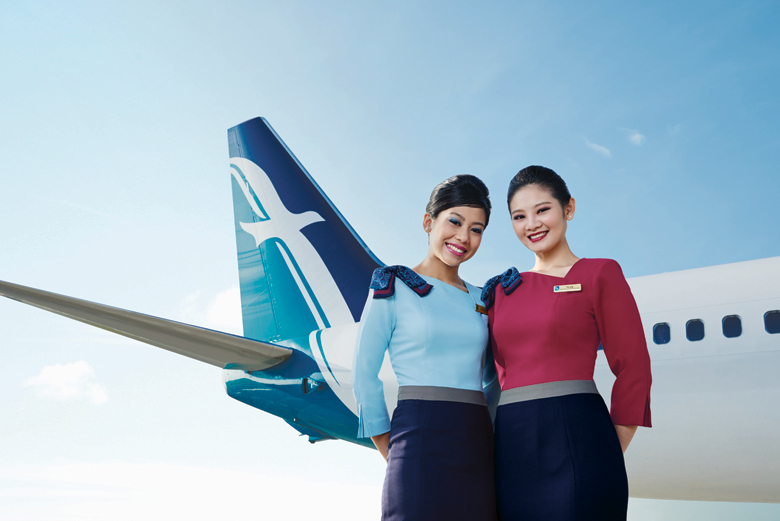 The new Silk Air uniform is stylishly cut and fitted with a defined waistline which makes it easy to wear, flexible and comfortable, allowing cabin crew the ease of movement as they carry out their duties,” said Chen. The latest uniform design marks only the fourth time that Silk Air has changed its work attire over its 26 history, and the first in 11 years. The airline’s first uniform was a seagull motif dress by local designer Celia Loe. This was followed by a Balenciaga designed uniform, comprising of a floral blouse, skirt and fitted jacked. Then in 2004, the airline launched its existing one-piece wrap dress with an oriental design created by its own cabin crew. “The new design captures exactly what our brand stands for today – a blend of style and sophistication with a touch of modernity consistent with the changing times. 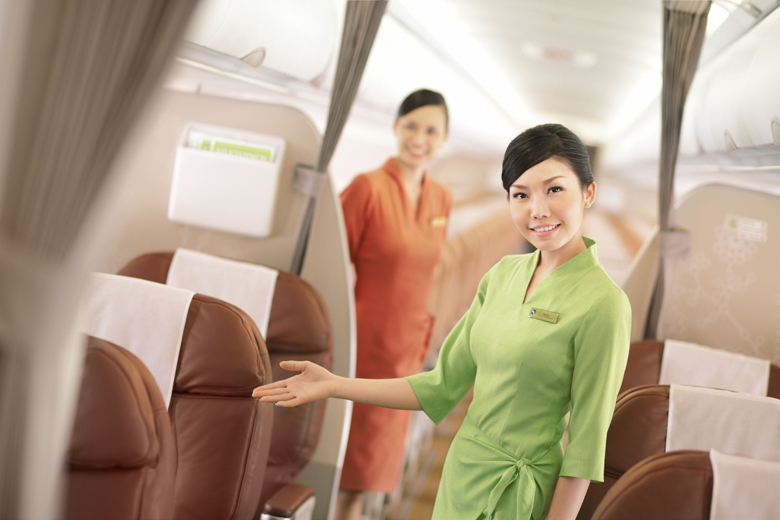 It symbolises our goal of making every point of our customers’ experiences on-board an absolute ‘Joy to Fly’,” said Leslie Thng, chief executive of Silk Air.